BT's controversial trial with Phorm, which began in September, has finally ended. Phorm, the internet habit tracker, used its technology to track 10,000 BT customers for what the company has called "a number of weeks". 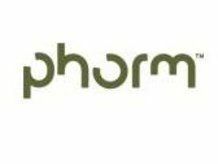 While neither company has come out to say that the trial was a success, a Phorm statement does say that the trial "achieved its primary objectives," explaining: "Phorm, the advertising technology company, is pleased to announce that the trial with ISP partner BT has now concluded. "The trial achieved its primary objective of testing all the elements necessary for a larger deployment, including the serving of small volumes of targeted advertising." The statement continued: "Following the successful completion of analysis, both of the trial results and of any changes required for expansion, BT has informed the company that it expects to move towards deployment." The trial courted controversy when it began due to the privacy issues that come with targeted advertising – as it does mean that browsing habits have to be tracked. New trials are set to take place with Virgin Media and TalkTalk. The dates of these have yet to be announced. A trial, however, with Orange will not take place as the company decided against teaming up with Phorm due to concerns over privacy.